Are you a CrossFit coach, Paleo/Primal advocate or athlete with something to say? Can your expertise improve the lives of others? Do you want to establish a presence within the CrossFit community? If so, we want to hear from you! 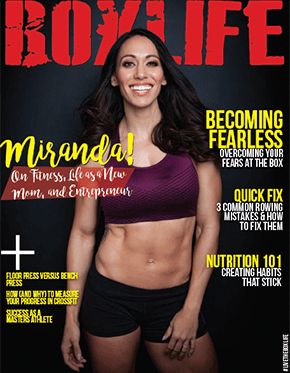 BoxLife Magazine is a free and paid bi-monthly publication available at CrossFit boxes and other specialty locations throughout the U.S. and abroad covering everything from nutrition, weightlifting, overall mental & physical fitness, motivation and much more. Anyone familiar with the CrossFit movement knows the lifestyle doesn’t end when an athlete leaves the box. Join us in educating and inspiring passionate CrossFitters while branding yourself within this growing community. Published articles are informative. They are educational, technical or motivational. Electronic submissions only. Send to submissions@boxlifemagazine.com. To increase chances of publication, include original photos or graphics related to your article. Include your contact information, plus a 3- to 10-line bio and photo. Articles may include writer’s bio and photo. Photo Requirements: Images should be 300 dpi (dots per inch) or at least 1 mb file size in jpeg format. Must be supplied as 4 color process (CMYK). Any spot colors must be converted to 4 color process prior to submitting.